Xin Sun, PNNL’s Applied Computational Mathematics and Engineering (ACME) Team Lead and a Laboratory Fellow, will attend the US-Japan Materials Genome Workshop. The workshop, to be held in Tsukuba, Japan on June 23-24, 2015, brings together 30 distinguished materials researchers from the United States and Japan to discuss using predictive theory and modeling, along with machine learning, data mining, and rapid-acquisition of experimental data, and their impacts on structural materials development and applications. Sun, who was invited to the workshop at the request of the White House Office of Science and Technology Policy and U.S. Department of Energy’s Vehicle Technologies Office (under the Office of Energy Efficiency and Renewable Energy), will join other distinguished American and Japanese materials researchers to develop a collaborative research framework. The goal is to devise complementary joint research using the materials genome to help meet each country’s respective development goals for discovering, designing, and deploying advanced structural materials for dynamic applications. 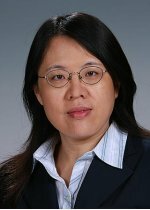 As the ACMD Team Lead (part of ACMD Division Computational Mathematics), Sun, along with her team and collaborators, contributes to ongoing advances in lightweight and high-strength materials, including advanced high-strength steels, magnesium castings, and aluminum alloys. The team’s materials modeling efforts have proven vital to improving energy efficiency and renewable energy options. Her work also has led to notable improvements in weight savings for the U.S. automotive industry. The US-Japan Materials Genome Workshop will feature five plenary speakers and include discussions related to calculation and modeling; modeling and simulation; materials synthesis, characterizations, and development; and data. It will be held at Epochal Tsukuba, the International Congress Center, in Tsukuba, a city long known as “the core for science research” in Japan.